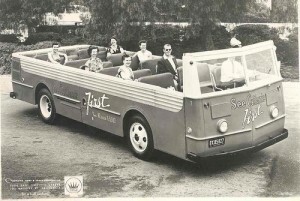 The history ofCrown Coach Corporation is not just a story about any automotive company. In the early 1900s, transportation and automotive companies were rare in Los Angeles. Crown Coach castes a history of how the West became industrialized and, from many humble and turbulent beginnings, California emerged as one of the leading economies of the world. Crown played a pivotal role in the early growth and development of Los Angeles. This web site is dedicated to the memory of my Papa (grandfather), M. M. (Murillo Martin) Brockway, nickname Brock; his wife Gertrude, sometimes called Cupie or Nana; their son, my father, Robert M. Brockway; and his devoted wife of 57 years, my mother, Merle. I am their eldest daughter. Crown Coach needs your assistance in helping it find its place in California and automotive history. Please help me make this the ultimate Portal for Crown Coach and Brockway Family information. As this new site grows, I invite all other Crown Coach enthusiasts to participate in its development. Over the next months I will be sharing lots of photos from the family archives. Though I am very experienced in running websites, I am only learning how to use WordPress, so if anyone of you out there knows their way around WordPress your help will be greatly appreciated. I have several addons and new themes for which I will be experimenting. Google Picasa has proven to be the best stage to store and present photos. If anyone of you knows their way around WordPress your help will be greatly appreciated. I have several addons and new themes for which I will be experimenting. Recently I added BuddyPress. If you want to be a regular contributor or have a large archive to share, I can give you administration status here and at the Picasa photo album site. Currently, March 2010, my father’s custom built home went on the market for the first time. Here is the write up. He designed this home for my mom. A Charles Wong, architect, did the final blueprints. It was completed in 1954. With a built-in Seeburg Select-O-Matic 200 jukebox, still in mint condition, and other period technological advances — such as whole house light control panel in kitchen and master bedroom, built in speakers throughout the house — it was considered cutting edge for its time – and rumored that the windows were from the same company that make Crown’s quality bus windows.